Paperback, 6.75 x 9.5 in. / 336 pgs / 58 color / 46 bw. Preface by Erwin Sellering, Mechthild Bening, Dirk Blübaum. Text by Iwona Bigos, Tiziana Caianiello, Britta Dombrowe, et al. 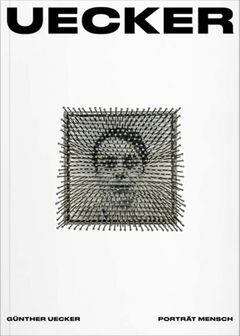 Kinetic artist and Zero member Günther Uecker (born 1930) is among Germany’s most renowned artists. Featuring works from the late 1960s to the early ‘80s and a wealth of scholarly research, this is the most comprehensive overview on the artist to date. FORMAT: Pbk, 6.75 x 9.5 in. / 336 pgs / 58 color / 46 b&w.